Love is in the air this Valentine’s Day as two student couples reflect on their relationships. Austin Simmons and Courtney Stodola are both redshirt juniors; they are majoring in physical education and business administration, respectively. 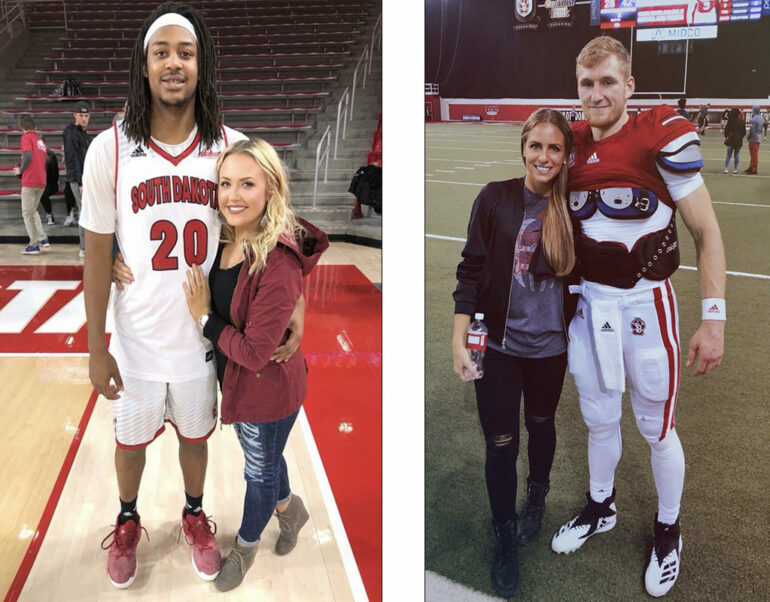 Simmons plays for the USD football team, and Stodola is a soccer player. The couple have been dating for over two years and met at a party their freshman year. They agreed that dating another athlete is nice, but it can sometimes be hard to find time to spend together. “Obviously as an athlete, you are busy with your sport all the time, so that can make it tough sometimes,” Simmons said. However, they said it is nice to have someone who can relate to their busy schedule. Since they are frequently busy with class and practice, they try and spend time together at night. “We normally just get the nights together, because we both have sports in the afternoon. So, we will just hang out and watch Netflix after dinner,” Stodola said. Since they both work hard to excel as student-athletes, the two say it is fun to see each other accomplish their goals. “I like seeing how much he wants it and how much extra time he puts into it,” Stodola said. Stodola says even though it can be hard to find time together, dating an athlete is rewarding to see them succeed. Simmons also appreciates his girlfriend’s strong work ethic. “She’s a go-getter and she goes and works hard and doesn’t slack off,” Simmons said. The couple also encourages each other to eat healthy and exercise. 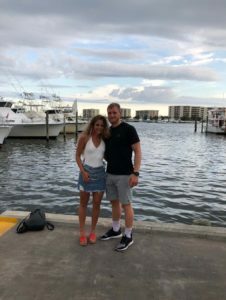 “Over breaks when we go home we will work out together and I have learned a lot from Austin about eating healthy and how that helps with athletics,” Stodola said. Nicole Painter is a junior dental hygiene major with a business minor. 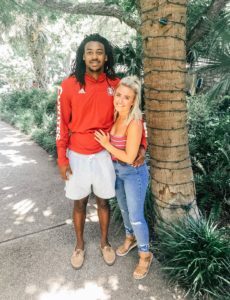 She has been dating Brandon Armstrong, a junior USD basketball player majoring in sport management with a minor in coaching, for a year and a half. Painter said the couple met through mutual friends. Painter said she is the furthest thing from an athlete and sometimes it is hard dating a student-athlete. The couple enjoys traveling with each other and have visited Texas, Kansas City, Minneapolis and the Black Hills.